A rock flew up and broke my auto glass! Can’t afford to replace it! Then I found a windshield repair Houston shop and they took care of my crack. 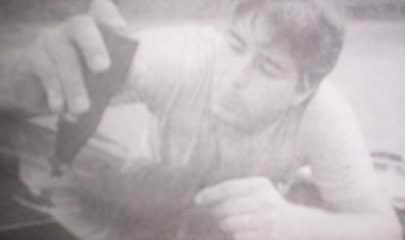 Living in Houston, driving behind huge trucks on the highway, it’s inevitable that a rock or mysterious factor can fly at your windshield and cause a chip. Driving is alarming as a result of construction, Houston contains a ton of junk and tiny rocks on the road. I’d have not thought it might happen to me, however suddenly a rock hit my one year old windshield. I detected an enormous, loud, noise on the windshield. At once, oh such a large amount of similar sounds that I would detected over the years. I knew that this was the one as I instinctively shouted out, “NO!” I wasn’t even driving behind a big truck. The rock broke my windshield and currently I can see many tiny cracks around it. I failed to get it fixed quickly and waited about 3 weeks. And therefore the chip created a crack that spread to be the dimensions of a diameter of a fifty-cent piece. Having very little expertise relating to repairing windshields, I resorted to Google search. Most repair retailers said “you ought to replace windshield“. There was no way I could afford to pay over $500, witch was what the auto glass retailers were quoting me. Then I found and called Chips and Cracks Windshield Repair, the guy on the phone assured me it absolutely was fixable. 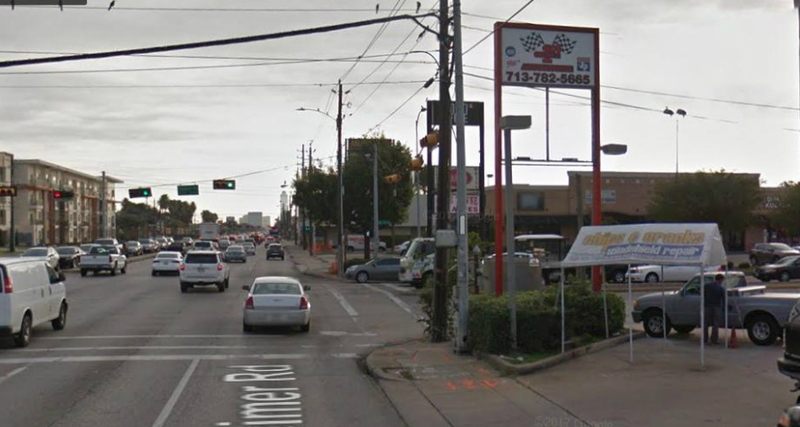 Thus I drove over to the place, it’s in a small parking lot on the corner of the intersection at Fondren and Westheimer. I simply drove in and Clint walked over to assist me. Despite the fact that it was over one hundred degrees outside and he wasn’t in the shade, he was polite, friendly and quick! fixed my cracked windshield (slightly larger than a 50 cent piece) while I simply sat in my car! 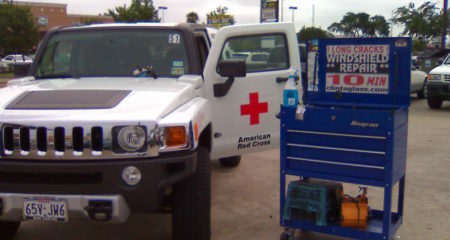 He had a rolling tool box with an umbrella mounted on it that housed the auto glass drills, resin, tools etc. He commenced working on my windshield. It absolutely was fun watching him work. Might see what was being done to my windshield. And that I might instantly see the chip slowly disappearing into a little hairlines. Rather see a little hairlines then have to be compelled to have my entire auto glass replaced. Cracks remain visible, however it’s virtually not that noticeable once it’s repaired. Happy the chip didn’t become a giant ugly crack. Once the repair came to an end, all the windshield cracks appear as if small clear lines and also the chip is less noticeable too. And he even said “if it started growing later he’d fix it at no cost.” I will be bringing all my vehicles here for windshield repair, well worth my cash. When a rock chip gets you down, visit Chips & Cracks Windshield Repair in Houston, we solve crack issues fast and straightforward, we’ll get you back on the road. We can place into order a windshield that’s broken from a rock or stone. We all so fix damages that have spreed out longer than six inches. After we fill a chip or crack with new material, it makes the damage nearly like new, while not ever fully replacing the auto glass. Located within the Houston area. 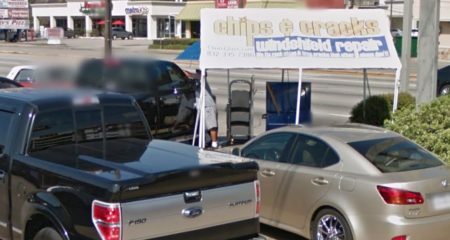 Business was named after the type of repairs, “chips and cracks.” Main product and service is windshield repair. 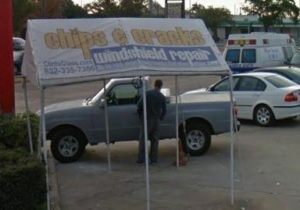 Chips and Cracks Windshield Repair was established in the Houston Texas in the year 1996. Our goal is to be a front runner in windshield chip repair and windshield crack repair in Houston, TX. We’ve continuously offered all-time low advertised prices among the city of Houston. Our warranty to the customer of a windshield chip or windshield crack repair. We are going to create windshield repairs, free of charge, if our repair fails. Ever had a truck, shipping trash, ahead of you? And, that very same truck spewed gravel on your car’s windshield? To feature to it, it’s not payday? That was my day today! My windshield was repaired inside minutes. It was a delight! They were knowledgeable, courteous and honored their web coupon with zero problem. I don’t as a rule write reviews, however, the service, the skilled manner it absolutely was executed and therefore the confidence generated from their experience warrants my taking time to let others understand. This can be a rare treat nowadays. Do expect it, they take their business seriously. I was extremely impressed–repairs were done well below replacement prices. I and different members of my family are going to be using them in future and will extremely suggest it to everybody I know. Let Us Install New Life In To Your Auto Glass Without Costly Replacement Problems. 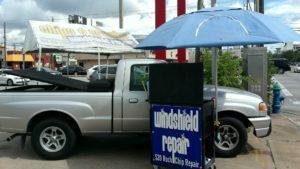 Fast Friendly Service Most Windshields Serviced In 10 Min. 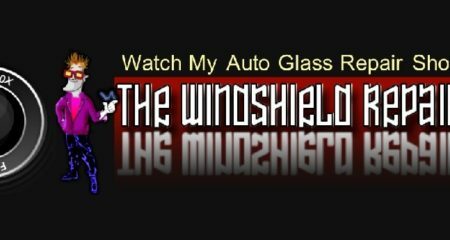 Weather You Own A Car, Truck, SUV, Limo, Taxi, Van, RV We Repair All Front Windshields. Big Discounts For Taxi Drivers, Limo Chauffeur Vehicles.